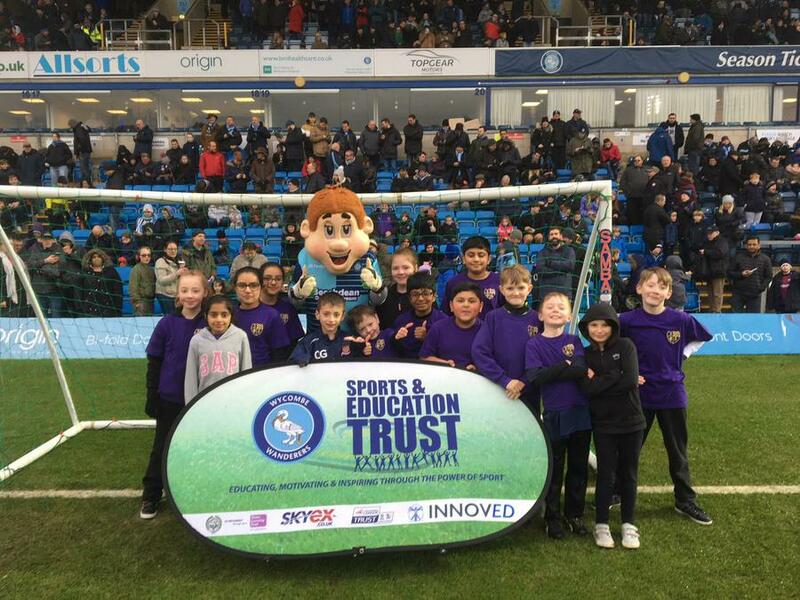 Just before February half term, on a very wet and chilly Saturday afternoon, 16 of our KS2 pupils and their families spent the afternoon as guests of Wycombe Wanderers. The highlight of the afternoon was a penalty shoot-out against the club mascot in the centre of the pitch at half-time. Despite the quantities of chips consumed in the first half, Ivingswood strikers put 16 goals past the mascot. It was a great afternoon for all – even the match was exciting to the very end. "Our students had a wonderful time at Wycombe Wanderers. It was a great opportunity for them to see professional sport in action, inspiring them to be active and enjoy sport. I'd like to thank Micky Calcott of The Window Film Company Ltd and the Rennie Grove Hospice for making this experience possible."